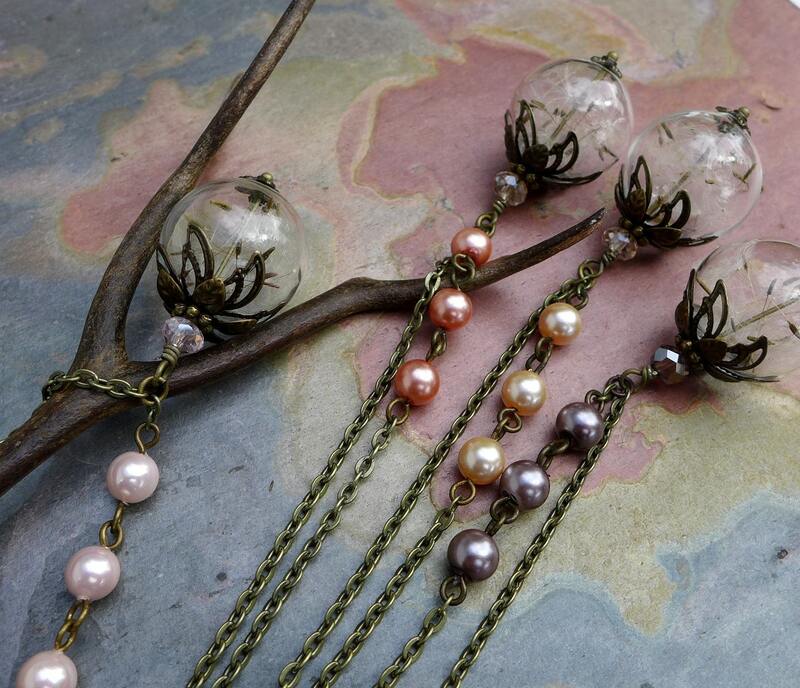 Make a Wish with this unique & beautiful necklace featuring: made with 20mm hand-blown clear glass orb filled with genuine dandelion flower seeds. Make a wish by blowing the seeds off. 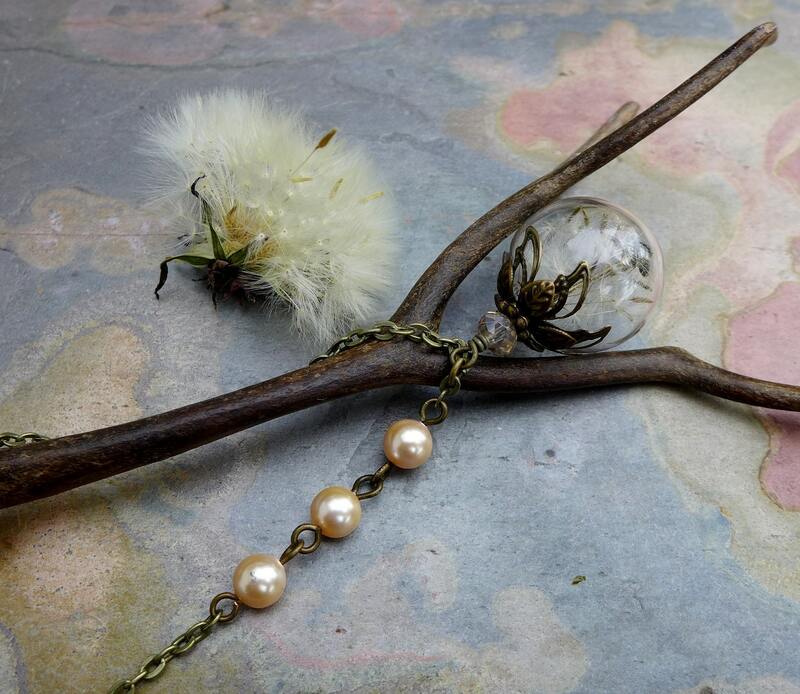 It was said that that blowing the seeds off a dandelion clock while thinking of the one you love will carry your thoughts of love to them.The orb is adorned with your choice of crystal colors, antiqued brass bead caps, 6mm your choice of pearls. 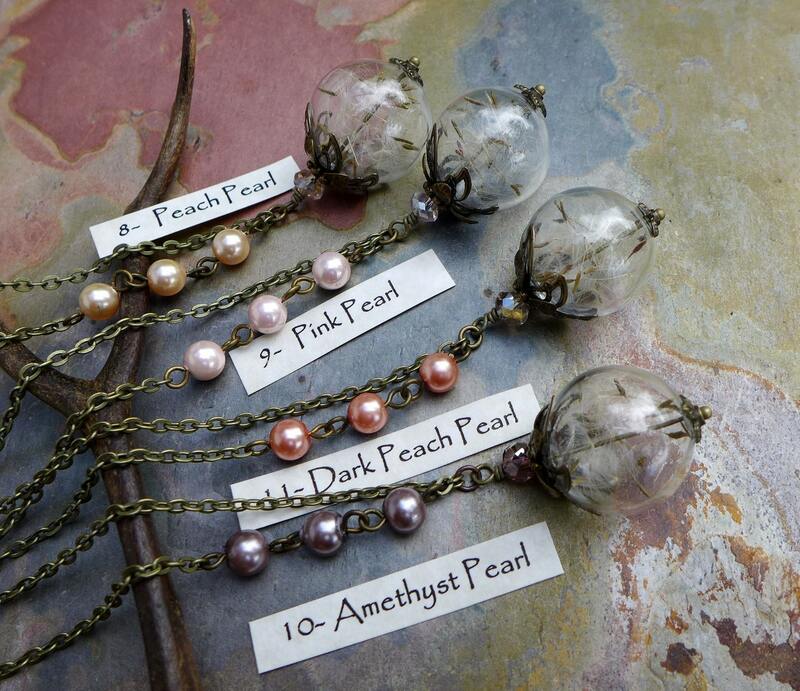 This beautiful pendant hangs down form antiqued brass chain. It measures 17 inch plus 2 inch extender & finished with a antiqued brass lobster clasp. ~~Matching Earrings made to order upon request. 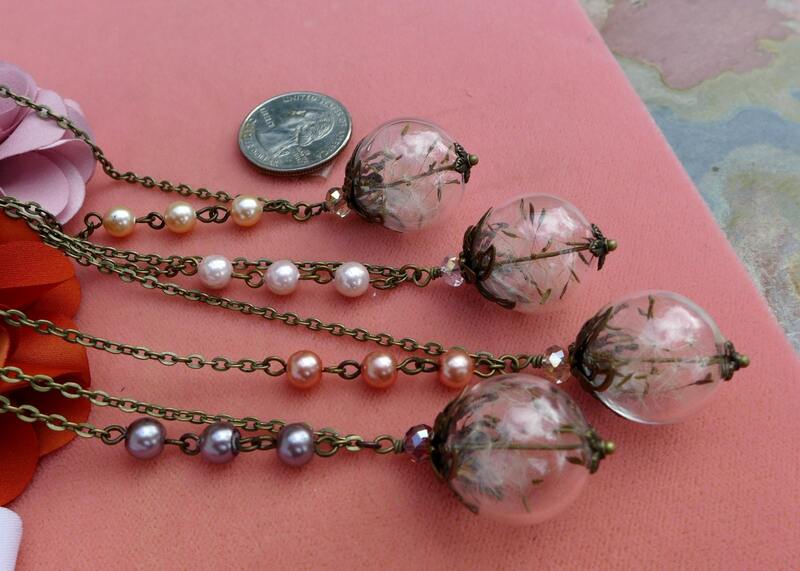 Earrings will be made with 15mm clear orb with matching findings with your choice of necklace. Such a beautiful piece of jewelry.Thank you so much! 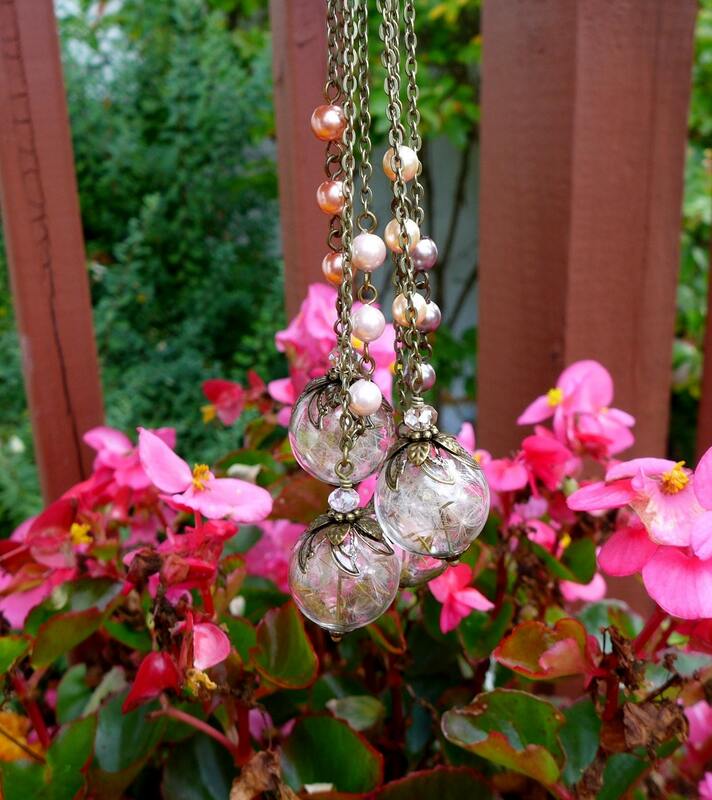 I love this beautiful necklace. Can't wait to give as a Christmas gift! Beautiful! Got one for my daughter and myself!